Skyven Technologies LLC, a Dallas-based renewable energy company specializing in zero-fuel industrial heat, was chosen to the final cohort of Accel-VT, a business accelerator for climate economy entrepreneurs. 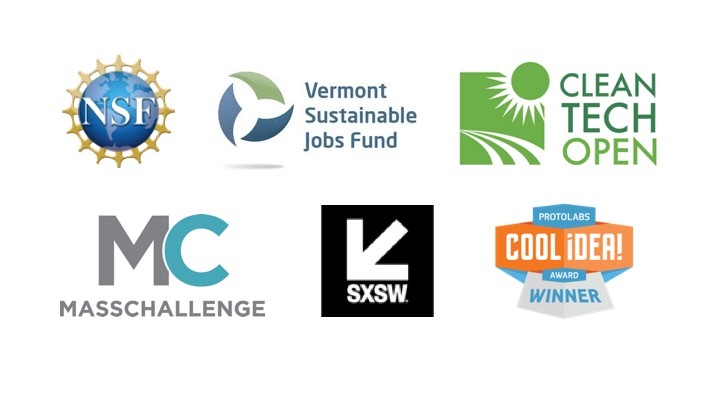 Accel-VT cohort members were selected based on their ability to help solve one of the most pressing renewable energy development issues facing the US. The climate economy creates on opportunity to accelerate economic development in the US and globally. The undesirable fact that climate change will have a large effect on the way we all live our lives and how we interact with each other has created an opportunity for innovative entrepreneurs to develop products and services that aim to mitigate the risks and deal with the consequences of climate change. Accel-VT, run by the Vermont Sustainable Jobs Fund, is a Vermont-sponsored initiative to tap into that opportunity. Eight companies from six states were selected to take part in this Burlington-based clean technology program aimed at expanding the cluster of entrepreneurs committed to climate economy innovation. “We are happy to be part of this prestigious program that showcases Vermont’s commitment to climate economy. Accel-VT is an outstanding initiative that helps grow sustainable businesses solutions with a global impact” – said Arun Gupta, Founder and CEO of Skyven Technologies. “Skyven stands out as a leading distributed heat solution that makes a strong business case, reduces industry’s impact on the environment and empowers people through sustainable technology advancement” – said Geoff Robertson, Director of Business Assistance at the Vermont Sustainable Jobs Fund.